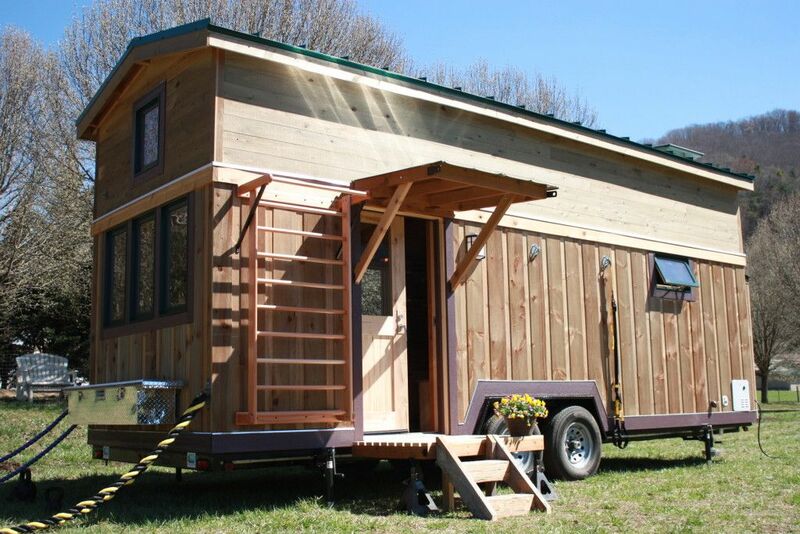 Blue Ridge Tiny Homes, in the shadow of Mt. Mitchell in North Carolina, states boldly on its website, "We're big on tiny." 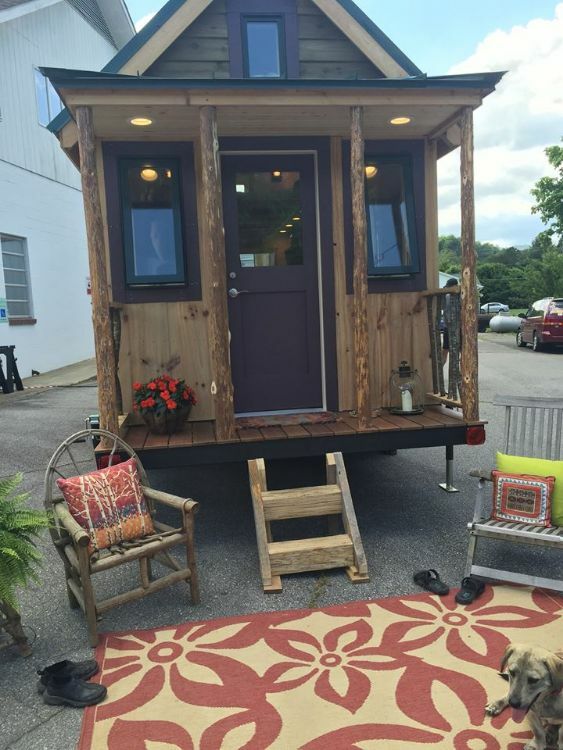 The company's micro-shelter models are finely crafted inside and out, with unique features. 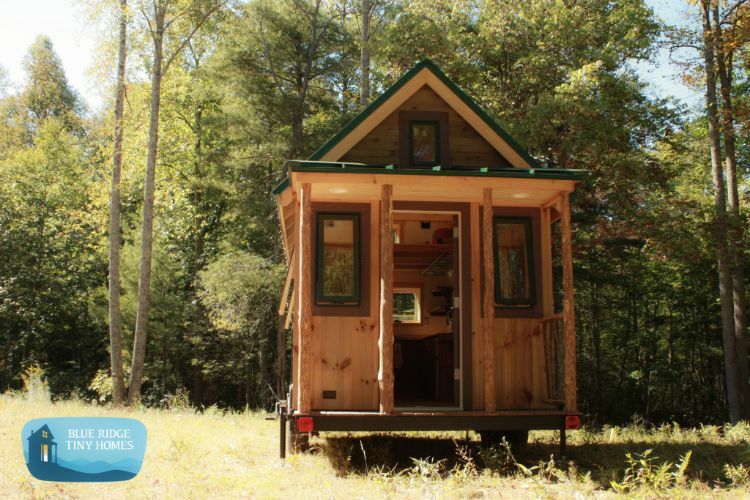 Take the unusual architecture that defines the tiny home in the photo above. This is practically a two-story tiny house, given that the roof line from front to back holds the same shallow angle of a dormer. 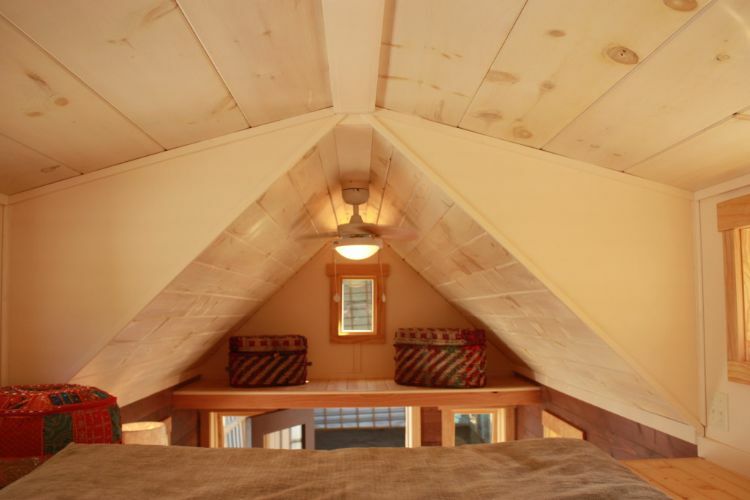 In effect, the entire mezzanine level in this tiny house is a dormer, which allows for tons of headroom in the sleeping lofts. 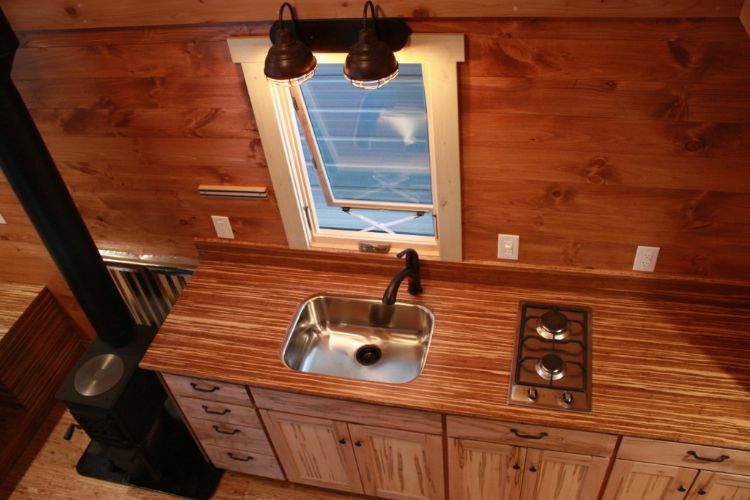 Let's take a look inside these tiny homes and see what they have to offer. 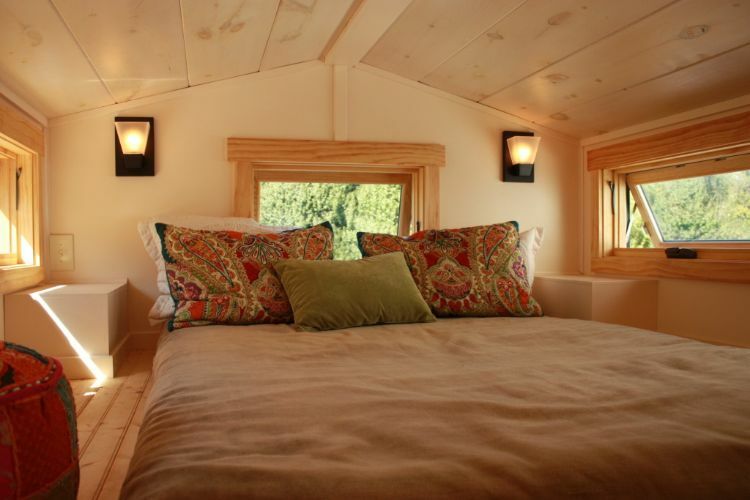 Here is a comfortable bedroom in one of Blue Ridge's models. Note the shallow angle of the ceiling. The windows on each side of this bedroom enhance its roomy feel. 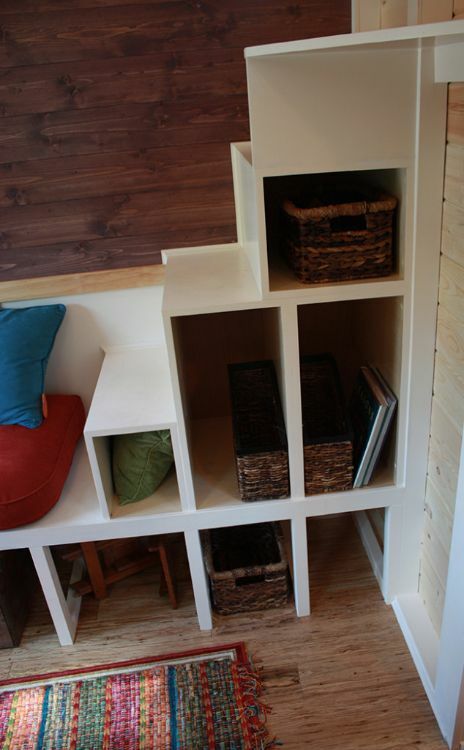 Here is a view of a small storage loft as viewed from the sleeping loft. Notice the ceiling's wide pine boards and the small window on the far side. Only a builder going the extra mile would put a window in a loft that is purely for storage. 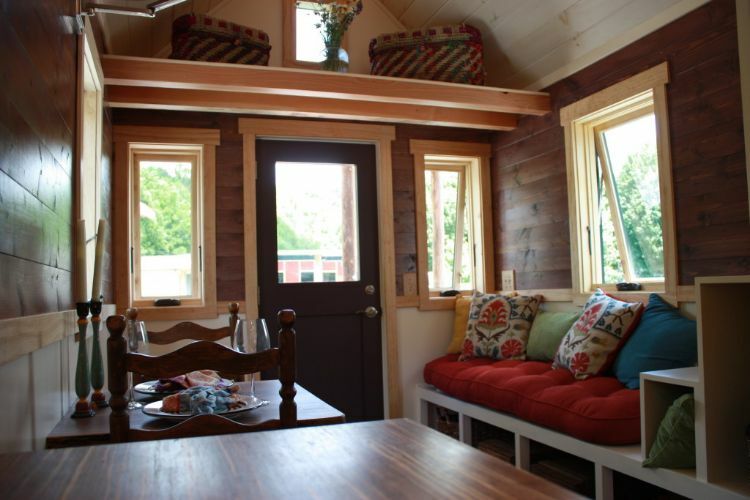 Remove the centerboard from the sitting nook, you have a bay window sitting area. With the board in place, however, you have two sleeping areas. The surface downstairs is large enough for a mattress. The loft overhead is also large enough for sleeping. This kitchen has ample storage space, and it's as eye-catching as any. 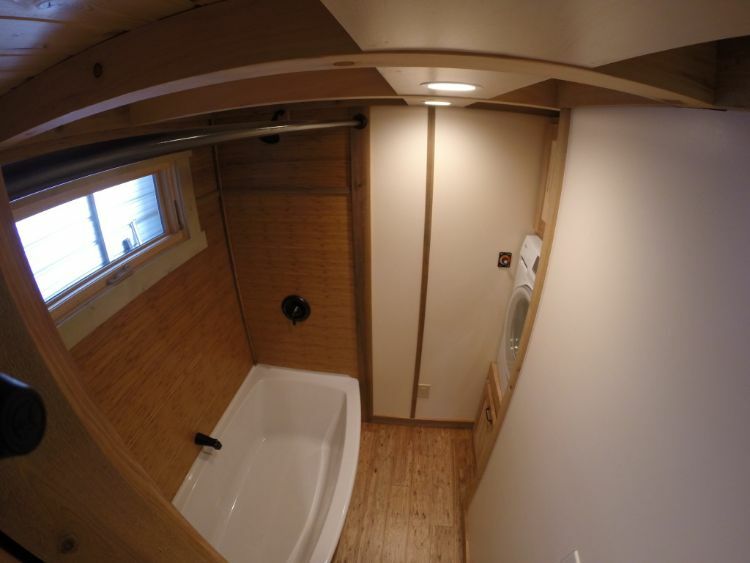 Almost hidden in this fisheye shot of the bathroom is a combination washer/dryer on the right. 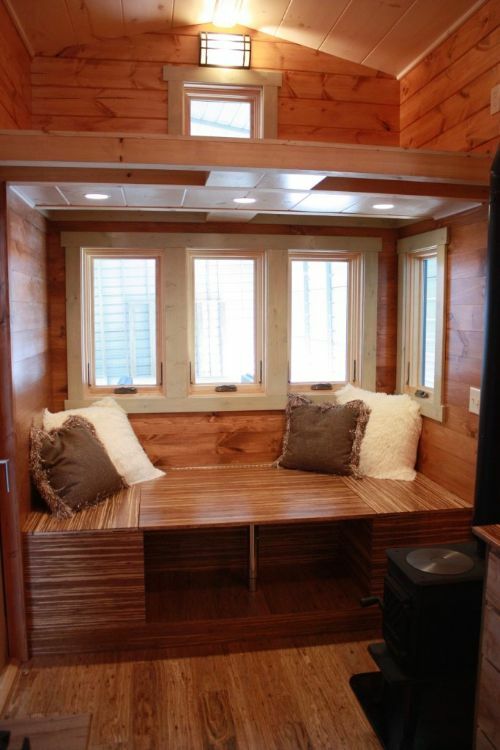 The dog lounging in the lower right finds this tiny home comfortable, too. 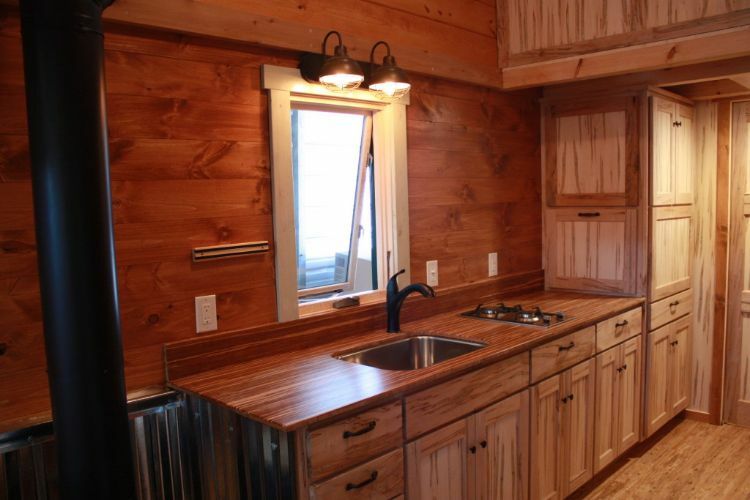 If you build a tiny home in rural North Carolina, expect it to look right at home in this natural setting.